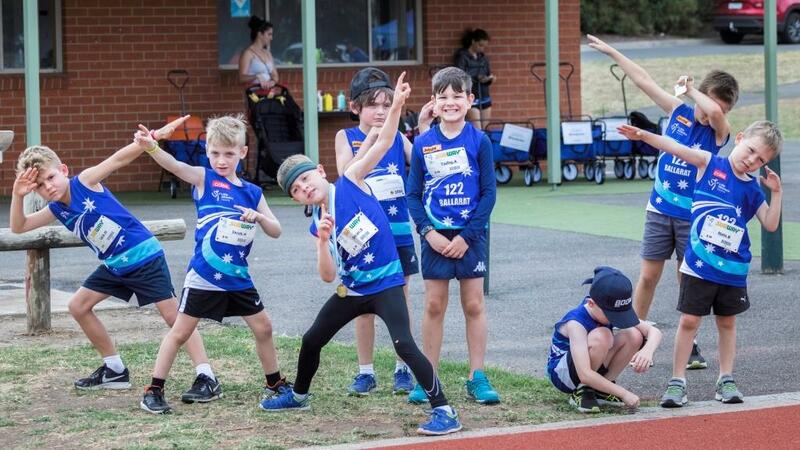 Once you are registered you become a member of Ballarat Little Athletics Club (BLAC), the Little Athletics Victoria (LAVic) and Little Athletics Australia (LAA). Ballarat Little Athletics is the only affiliated LAVic club in Ballarat. Parents of members, by signing the register or ordinary members when they register their children, also become members. Additionally, all members are fully insured through our affiliation with LAVic and all athletes are entitled to compete at any LAVic and LAA event anywhere in Australia. If you are away for the weekend and are unable to compete in Ballarat, you can compete at another centre. You are also able to collect your aggregate points provided you submit your tickets to the Secretary once you return. There are numerous other Little Athletics events available, some of which are listed on this website and others will be advertised in the weekly newsletter or online. Wearing of the centre uniform is compulsory at all Saturday programs. Centre uniform consists of the Ballarat Little Athletics top which may be purchased from the Little Aths shed on Saturday mornings for the cost of $TBA and navy shorts with no pockets or logos. Parents/guardians are asked to make payment online when registering athletes. click on the registration link. During the Track & Field Season, a newsletter is published weekly. It contains the most recent news and information and should be read by all parents and athletes. Newsletters are available on our website, facebook page or via Team App. If you would like to receive information via email please ensure you provide your email address clearly on registration. If you choose not to receive our newsletters via e-mail, you can notify us and you will be deleted from the group. Contact the committee to have your email details updated. Please feel free to telephone any of the committee if you have any queries. Numbers listed at the front of this book.